Below you can view all the homes for sale in the Sapphire Pointe subdivision located in Castle Rock Colorado. 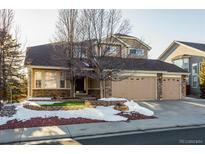 Listings in Sapphire Pointe are updated daily from data we receive from the Denver multiple listing service. To learn more about any of these homes or to receive custom notifications when a new property is listed for sale in Sapphire Pointe, give us a call at 720-729-2316. Two hot water heaters. Two Furnaces. MLS#1859026. S.O.S. REALTY. Easy Access to I-25 & Parker Rd. See Virtual 3-D Tour. MLS#2748102. RE/MAX Masters Millennium. The upgrades in this home are incredible! MLS#6879911. HEARTHSTONE REALTY. Don't wait, see this home today! MLS#8941189. RE/MAX ALLIANCE. Seller is providing a 2,500$ carpet allowance. This is a MUST SEE! MLS#3263747. The Cutting Edge.